I've made another Pioneer Woman recipe and I've gained another pound from it. That's how it goes. 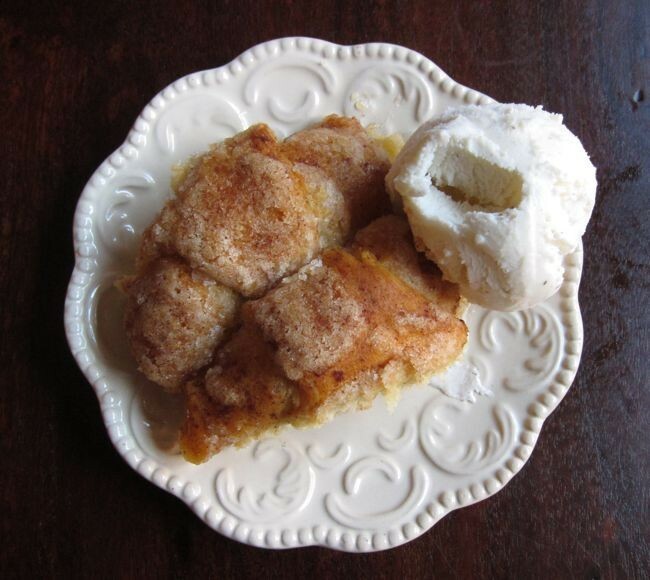 This time I made her apple dumplings. They were embarrassingly easy to make for being so good. To make these puppies, you just wrap crescent roll dough around slices of apple, pour a mixture of melted butter and sugar over them, empty out some Mountain Dew from the can on top of that, sprinkle with cinnamon, and bake. And ta-da! You've got yourself a crowd-pleasing dessert. With such little effort for a praise-worthy dessert, this recipe has definitely got me rethinking all my complicated dessert recipes. What's the point in laboring in the kitchen for hours if something semi-homemade does the job? If you are making these ahead of time, after baking, pour out as much of the sauce that's in the pan (there will be quite a bit) and save it in a separate container. This will keep the dumplings from getting soggy. When you're ready to serve, warm the dumplings in the oven for a few minutes and warm the sauce in the microwave. Serve it all with scoop of vanilla bean ice cream. Peel and core apples. Cut each apple into 8 slices each. 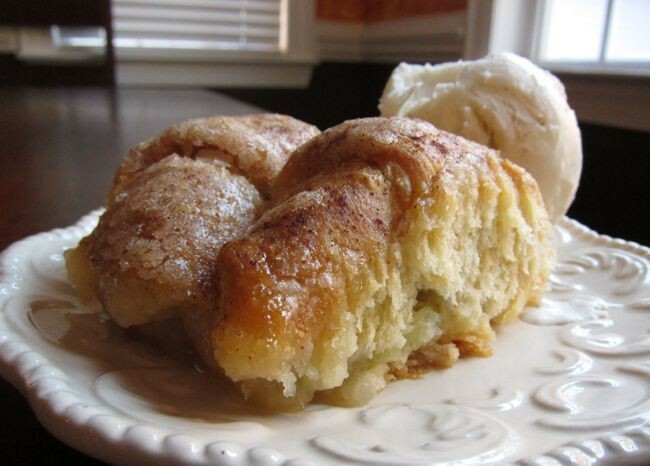 Roll each apple slice in a crescent roll. Place in a 9 x 13 buttered pan. Melt butter, then add sugar and barely stir. Add vanilla, stir, and pour entire mixture over apples. Pour Mountain Dew around the edges of the pan. Sprinkle with cinnamon and bake at 350 degrees for 40 minutes. Serve with ice cream, and spoon some of the sweet sauces from the pan over the top. * I only used half the can of Mountain Dew, and that seemed to be sufficient.